Blake grew up dancing at Ann Catherine Cross School of Dance, owned by his mom, Ann Catherine Cross. He graduated with a Bachelor of Fine Arts Degree in Contemporary Dance from the University of North Carolina School of the Arts, and completed his Master of Fine Arts degree in Dance at Hollins University. He has studied with teachers and choreographers from all over the world, notably John Jasperse, William Forsythe, and the amazing faculty of such institutions as the Alvin Ailey School, New York University, The Paluccaschule (Germany), Dance New Amsterdam, Steps on Broadway, and others. Blake has taught and choreographed a wide range of students all over the world, including Ann Catherine Cross School of Dance, Virginia Commonwealth University, Hollins University, Gift of Dance Academy, Polaris Dance Institute, Richmond City Parks and Recreation, Korea Performing Arts School (South Korea). He is the cofounder of We Are Artists, a Summer workshop and performance program for young adult dancers. Ann Catherine Cross pictured with the father of Jazz Technique, the legendary Luigi. “Miss Ann” has been a fixture of the Richmond dance community for 4 decades, and has produced, the best dancers, choreographers, and arts scholars in the area. She started ACCSD in 1981, and has tirelessly sought higher education for both herself, her children, and her dancers. She believes in providing quality dance education with a strong foundation in technique, performance quality, and versatility. She has brought teachers and guest artists from New York to Tel Aviv (Israel) to work with the kids and impart knowledge and experiences that they would never receive at any other dance school in this area. She is a vital force in this community, and a seasoned veteran in the business. She welcomes you and your family to check out what we have to offer, as we guarantee a high quality education that promotes excellence both in the dance studio and beyond. Samantha was born in San Diego, CA and raised in Marietta, OH. She began dancing at the age of 2. As time went on she began directing her focus towards voice and acting. Samantha has taught herself how to play the piano as well as dedicated her time to learning how to sing. She is a graduate of Ohio Northern University with a BA in Theatre and Dance. As an actress, one of her biggest accomplishments was being the lead in a play called “Nevada”, which was the first English translation of a popular Cuban play. Immersing herself in the rich history of such an important character was an eye opening experience. She is passionate about learning and creating as well as teaching to share the intricacies of emotions and thoughts. Samantha specializes in Alexander Technique and the Laban Efforts for acting. Theatre has transformed her life, teaching her how to overcome many obstacles and express herself in ways she never thought was possible. She hopes to eventually study abroad and have the chance to visit the Globe Theatre. Fun fact: She loves Indie Folk Music! Becky was born and raised in Durham, North Carolina. She began dancing at the age of 3 and never stopped. She grew up attending summer programs including North Carolina School of the Arts, The Carolina Ballet, and American Dance Festival. Becky attended Muhlenberg College in Allentown, PA, where she was awarded a dance scholarship. She graduated from Muhlenberg College in 2016 with a BA in media and communications. Becky loves working with kids! She choreographed Durham Academy Upper School’s 2017 production of She Loves Me. Since moving to Richmond in 2017, Becky has enjoyed working as a nanny. She has been an active member of the Richmond swing dance scene, and is part of an all-female swing dance performing group called The Tantilla Toms. Stephanie grew up dancing at Ann Catherine Cross School of Dance from the age of 3 to 17. She attended the University of North Carolina School of the Arts where she received both her high school diploma and her Bachelor of Fine Arts degree in Contemporary Dance. At UNCSA, she studied the techniques of Merce Cunningham, José Límon, Alwin Nikolais, and Susan Klein. 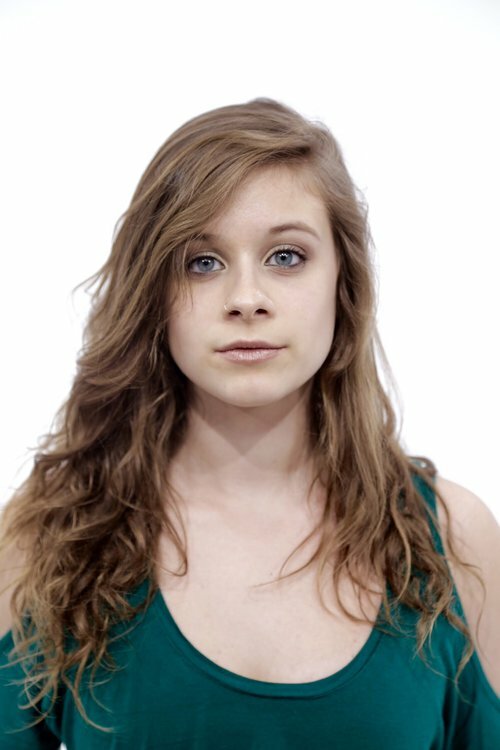 After graduating from UNCSA, Stephanie moved to New York where she interned at Movement Research as well as performed at venues such as: Danspace, the New Museum, Mt. Tremper Arts, Joyce Soho, Judson Church, The Tank, and Roulette. She has also had the opportunity to attend the American Dance Festival as a scholarship student, where she studied with: Abby Yager, David Dorfman, Ishmael-Houston Jones, Gerri Houlihan, Ming-LungYang, and Richard Siegal. Steele is approaching his final semester in the Dance and Choreography department at VCU. During his time at VCU Goldman has had the pleasure of performing in pieces by faculty including Martha Curtis, Courtney Harris, Scott Putnam, and Dr. Gaynell Sherrod. Goldman was also selected to perform in guest artist works including Liz Lerman and Helen Simoneau. During his time at the Bates Dance Festival Goldman was selected to perform in works by international choreographers Junichi Fukuda and Li Wenqi. While attending the American Dance Festival on full tuition scholarship Goldman was selected to work with Lucinda Childs and perform two of her minimalist ballets “Kilar” and “Concerto”. In 2017 Goldman performed “Phosphorescence” a multimedia site specific piece as a part of the 1708 Gallery’s InLight exhibition. Goldman recently worked with VCU guest artist Ching-I Chang Bigelow for a site specific piece in collaboration with Dutch sculptor Noor Nuyten performed at the VCU Institute of Contemporary Art. Goldman recently joined the RVA Dance Collective. Jess is the co-artistic director & founder of RVA Dance Collective is a performer, choreographer and dance educator living in Richmond, Va. A James Madison University graduate, Burgess has trained extensively with acclaimed professionals in the dance community in the United States and abroad, including Sonia Rafferty, Donald Laney, Toneta Akers Toler, Isabel Gotzkowsky, Scott Smith (Siobhon Davies) and Keith Thompson. Delicately balancing a keen eye for the creative and a strong sense of business development and management, Burgess has flourished after graduation in an arts administration capacity in the nonprofit sector. She is also the Artistic & Executive Director at Dogtown Dance Theatre. RVA Dance Collective operates as the company in residence at this historic Manchester arts building. She is responsible for conceiving, developing, and implementing the artistic vision and focus of the organization, and for major decisions about the ongoing development of the aesthetic values and activities. Jess was the 2010 recipient of the Theresa Pollak Award for Excellence in the Arts for her work with RVA Dance Collective, and the 2018 recipient of Style Weeky's Women In the Arts Award for her work with Dogtown Dance Theatre.